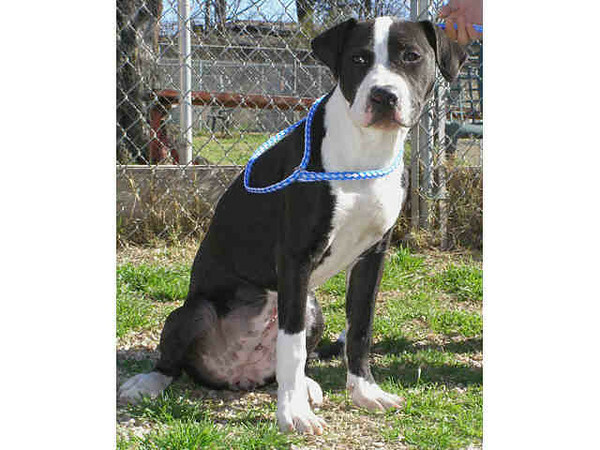 Cha-Cha is a spayed femal black and white pit bull mix. She is estimated to be six months old. She is in pen 265.